Our course material is exclusively for the use of our bona-fide students only. It shall not be redistributed, sold, loaned or copied. If a student is found to have allowed our study material to be misused, his / her enrolment with Career Point will be terminated without refund of fee and action will be taken against such student as per copy right act. Our decision in such case will be final. In matters not covered in above rules and regulations, the decision of Director, Career Point shall be final and binding to students and their guardians. All disputes are subject to Kota (Rajasthan) jurisdiction only. The management will decide and allot hostel and room to the student on its discretion. 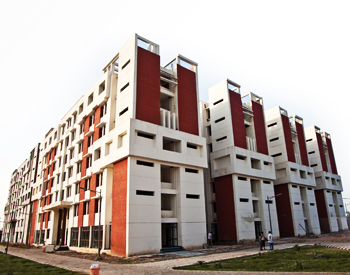 In double sharing rooms, student has to accommodate the other student without any objection otherwise the occupant may get it converted into a single room after paying the fees as prescribed for single room. Conversion to single room is possible subjected to availability. Occupant is to see that no damage is done to the hostel property. Servants/maids are available in the hostel from 9:30 AM to 3:00 PM. It will be the duty of the student to get the room cleaned by hostel staff appointed for this purposes and keep the room in tidy and hygienic condition. Hot water will be available only from 6:00 AM to 10:00 AM hours during November to February months. The warden or any authorized person by the management shall have liberty to inspect the room, its cleanliness and hygiene and for any other purpose at any time. Visitor Time: 07:00 AM to 06:00 PM. Only those Visitors are allowed to meet the student whose name(s) are given in the hostel admission form with the permission of hostel warden/Administrator. Visitors can meet the residents at the Reception Lobby or Visitor Room only. Guest or visitors are not permitted to stay in the hostel. However if they wish to stay in campus then they may book room in Guest House. Vegetarian food is provided in the hostel which includes (a) Break-Fast, (b) Lunch, (c) High Tea in the evening, (d) Dinner and (e) Milk in the night. Students have to mark in & out entry in register kept at main gate every time they enter or leave hostel. (VERY IMPORTANT). This rule should be follow strictly and no concession will be given to any student under any circumstances. 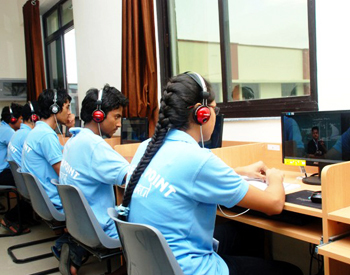 TV facility in common room, Indoor Sports Facilities etc are complimentary and management can withdraw these any time in the large interest of the students. Celebration of Birthday and other festivals in hostel premises is strictly prohibited. You may celebrate the same in Celebration Zone in the campus. Students are advised not to keep ornaments, huge amount of cash and other valuables with them. All complaints, cases of illness and other related matters should be reported to the hostel warden/student welfare cell immediately. Detailed rules and regulations are given CP-Gurukul Hand Book. Please see CP-Gurukul general guideline section. Faculty, Teaching Methodology, Study Material, Periodic Tests, Performance Feedback, Personal care and Other Features: Please read division wise section in the beginning of this booklet and details in brochure. 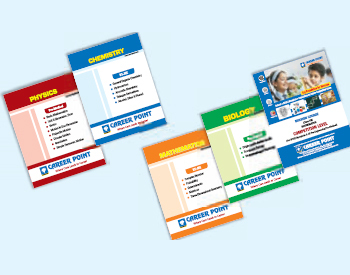 Assistance is provided in getting admission in CBSE affiliated school (Global Public School) managed by Career Point group or in other CBSE / State Board school situated in Kota. Note: Admission to school shall be provisional until all of the above documents are submitted and approved by respective board (in case of admission in X & XII). We provide you full assistance in completing all formalities still for any procedural/technical issue pertaining to the board shall not be our responsibility.